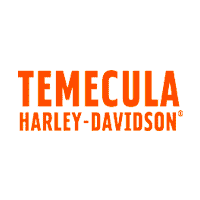 The Dyna® is where raw style meets big twin performance; and Temecula Harley-Davidson carries several models, including the Street Bob®, Fat Bob®, and Wide Glide! Whether you’re looking for a great value or you want the classic no-nonsense look, we have the Dyna® motorcycle you’re looking for! *Base price $12399 added dealer markup $589, total price $12988 plus DOC, tax, electronic filing and license. All financing with approval of credit. All bikes subject to prior sale, pictures may differ from actual bike, please inspect prior to purchase, mileage, equipment and condition may change. Prices subject to change without notice. Black FXDB Ready for a new Rider! Base price $12999 added dealer markup $589, total price $13588 plus DOC, tax, electronic filing and license. All financing with approval of credit. All bikes subject to prior sale, pictures may differ from actual bike, please inspect prior to purchase, mileage, equipment and condition may change. Prices subject to change without notice. ****************** CUSTOM!!! ******************* Base price $13999 added dealer markup $589, total price $14588 plus DOC, tax, electronic filing and license. All financing with approval of credit. All bikes subject to prior sale, pictures may differ from actual bike, please inspect prior to purchase, mileage, equipment and condition may change. Prices subject to change without notice. *Base price $13999 added dealer markup $589, total price $14588 plus DOC, tax, electronic filing and license. All financing with approval of credit. All bikes subject to prior sale, pictures may differ from actual bike, please inspect prior to purchase, mileage, equipment and condition may change. Prices subject to change without notice. **Very clean Crushed Ice 2016 FXDB Streetbob with under 9k miles on it** **Factory 47 Tbars, V&H, Daymaker Headlight and LED Bar** **Trades Welcome** **EZ Low Down financing with approval of credit** **Test Ride Today** *Base price $14999 plus added dealer markup $589 total price $15588 plus DOC, tax, title and licensing. Vehicle subject to prior sale, pictures for display purposes please confirm condition and equipment prior to purchasing, price subject to change without notice. All financing with approval of credit. *Advertised pricing excludes applicable taxes title and licensing, additional dealer mark-up, freight, and are subject to change without notice. Pricing may exclude any added parts, accessories or installation unless otherwise noted. Sale prices include all applicable offers. Not all options listed available on pre-owned models. Pictures for example only, bike may differ in condition, miles and equipment, inspect prior to purchasing. All vehicles subject to prior sale, price may change without notice. Contact dealer for details. **With approved credit. Terms may vary. Monthly payments are only estimates derived from the vehicle price with a 72 month term, 8.99% interest and 20% downpayment, plus DOC, tax,license, freight and added dealer markup.